Businesses do not stimulate the economy, customers do. 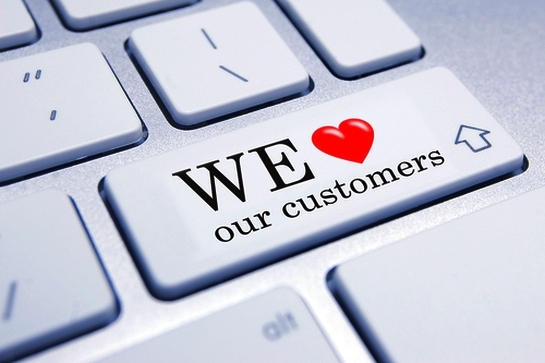 Customers are the ones deciding what to buy, when to buy it, and from who to buy. That’s why the most important aspect of any sales process and marketing strategy is just that, the customer. Understanding who your customers are and what makes them turn to you and your product is key to growing a successful business. If you pitch to the wrong selection of customers, you will fail. Since the buying process involves both emotions and logic, to truly understand your customers and what will make them buy your product you need to go beyond identifying their needs as related to your product or service. You need to understand what makes them tick. To help you do this, I suggest creating 3 to 5 different buyer personas using the criteria in this post and slideshow. A buyer persona is a representation of your ideal buyer or customer. It is not an actual individual, but rather an amalgamation of needs, wants, personalities and lifestyles of those most likely to become your customers. 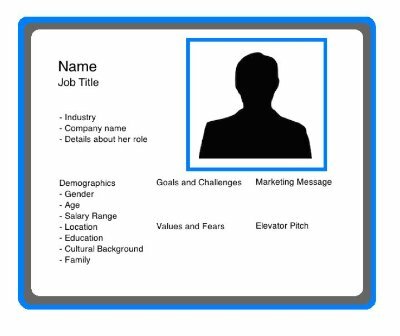 As an embodiment of your perfect customer, a buyer persona provides you with a focus, a name, a face, and a particular personality with which you can interact. Why do you need a buyer persona? The aim of your sales strategy is to increase sales, widen your customer base, and retain those customers with which you already have a relationship. You are most likely to achieve all of the mentioned goals effectively if the right audience gets the right message at the right time through the right channels. For this to happen, you need to know who your audience is, where to find them, and when they are likely to be around. The first thing to understand is that although your buyer persona is not a real person, it is not simply a work of fiction either. The persona is developed by combining analytical data, demographics, common characteristics and educated speculation using data collected from various sources such as your staff, Google Analytics, customer surveys, social media conversations. Your sales, marketing and customer service teams are a source of knowledge and information that you must tap into to get the best possible results. These are the people that are in regular communication with your existing customers and who design your campaigns and strategies. They are a gold mine of valuable insights when it comes to reaching your customers with the right message and products. Exactly who you involve in the process depends on your individual business. It may be that you are running a small business, and you fulfill all of the mentioned roles. Larger companies, however, may employ an entire team with top performing members from each of the three departments. Once you start the process, you need to dedicate enough time to brainstorming, sharing ideas, analyzing data, and developing your buyer personas. Ideally, you should aim to create between three and five personas, but again, this depends on the size of your business as well as your industry and the market your are selling into. This gets you and your team thinking about them as real people. Giving them a back-story adds life to the persona. Things like age, marital status, children, family commitments and their housing situation will help you better understand their shopping habits, and daily life needs and desires. These should be based on your knowledge of your existing customers as well as data from surveys. What they do for a living will tell you a lot. This information can be discovered using customer surveys and login / registration forms. Once you have determined these areas, you’ll have an idea of income and the amount of disposable income each persona is likely to have available. Why are they considering your product / service, what do they what to change and why? What’s driving their need for change? Not only to make the persona feel more real, but also to determine where you can find your customer. If their interests include surfing the web, then web ads are likely to work. However, if they have no interest in social media you are wasting your time with a Facebook campaign and should find other channels to reach them on. Now it’s time to combine all of this information to use and determine the best ways to meet the needs of each type of customer. You can use marketing automation platforms and other tools to target customers by sending out tailored messages that speak to the needs and wants of the people who fall into the specific buyer personas that you have created. The aim of this process is to increase customer engagement with your company and brand. In turn, this should result in a direct increase in sales and customer retention. Creating buyer personas may take your team away from their normal day jobs for a few hours, but when done correctly, it can have a major positive impact on your entire company. 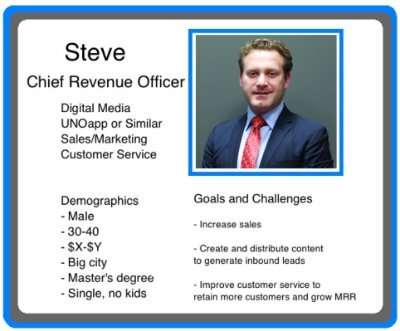 To learn more about how to develop and effectively use buyer persona to help grow your business, please reach out to me at steve@unoapp.com. I’ll be more than happy to chat.